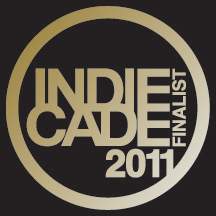 The IndieCade 2011 Finalists have been announced and we’re proud to say that Desktop Dungeons is one of them! We’ve known for about 2 weeks now (and keeping hush was proving pretty difficult). We’ve been making plans to get to Culver City for the festival and Marc and I will be there, being odd and trying to see more of LA than I managed during E3.